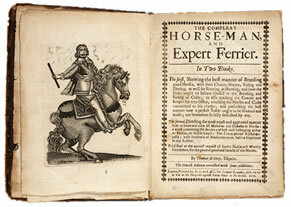 by Thomas De Grey, 4th ed. ; London: Samuel Lowndes, 1670. 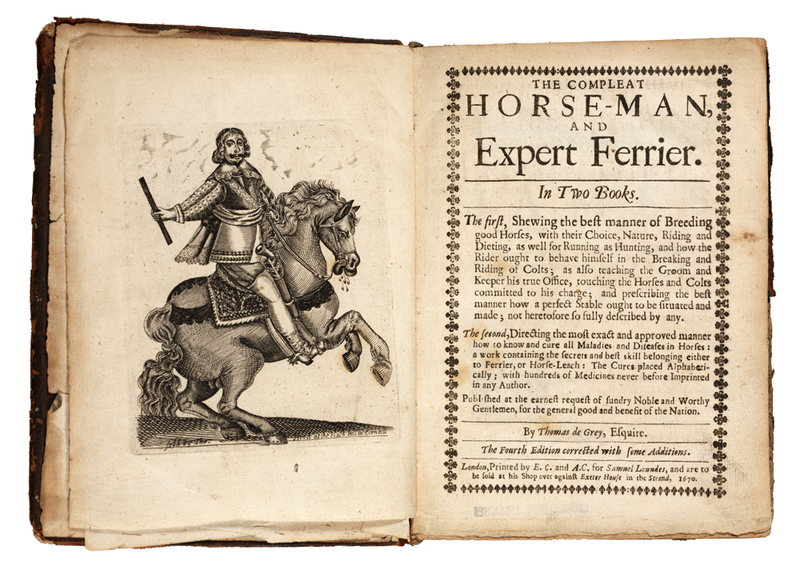 Our first book of veterinary medicine which goes about, as the second part of the title states, "directing in the most exact and approved manner how to know and cure all maladies and diseases in horses."